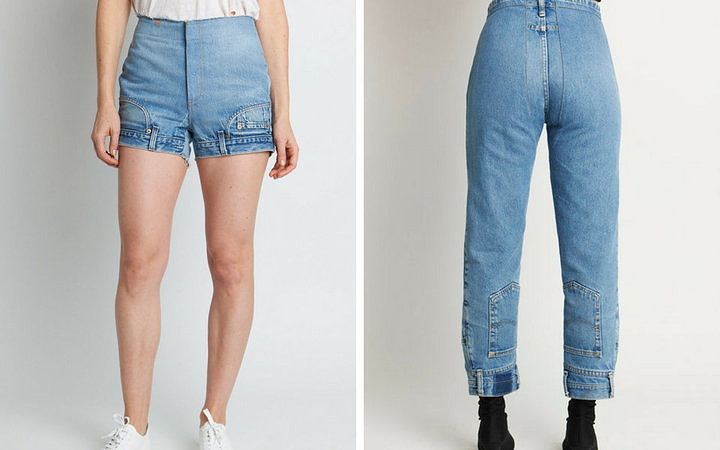 The latest look in weird denim is upside-down jeans from CIE Denim. The belt loops and pockets are at the bottom of the pants, around the legs, instead of at the top around the waist where they should be. 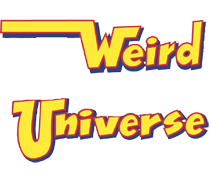 Apparently they were inspired by the Netflix show Stranger Things, which features a parallel universe called the Upside Down. Though I'd be surprised if anyone made that connection just by looking at the jeans. 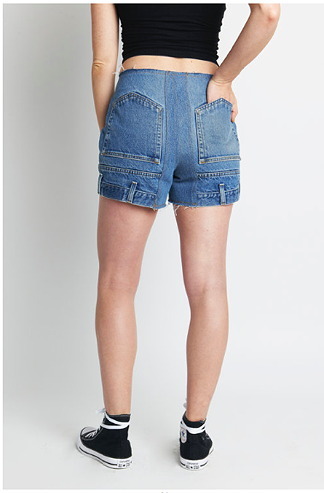 They come in shorts, which go for $385, and full jeans for $495. I guess the next thing is to have them look like they're inside out, as if you got dressed in the dark. Why? Did they made the front-as-back pull-up jeans already? If your nose runs and your feet smell, you're built upside down! Phideaux, you may have hit the next craze. You should put them out there, for say...$795. Plus S & H, of course.